7 Ways to Know If It's Time for A New Strategic Plan - The Jackie Sherman Group, Inc.
What is Strategic Planning? It’s a process of engaging your key stakeholders to agree on the mission, vision, and values of your organization, as well as your goals, and the strategies and key actions to reach them. The result is a plan that focuses the efforts of your organization toward achieving your desired future. To do this you need to know “where you are” and “where you are going.” As the old adage goes … if you don’t know where you want to go, then any plan will get you there. 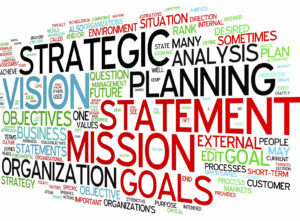 Every organization whether for-profit or nonprofit, needs a strategic plan. Here are 7 ways to tell if you need to design a plan, or if it’s time to update your existing one. Your organization has existed for more than 3 years and you’ve never had a strategic plan. When a business or nonprofit starts it has a reason for existing and a sense for its goals, but the immediate start-up needs are often driven by tactical concerns. You get initial funding, put a basic infrastructure in place, develop products or services, and go after initial customers or members. “Long term” is one or two years. But once you are established and have a sense of the lay of the land, you need a more strategic focus to guide you. It’s time for a strategic plan. The environment within which you are operating has changed. Changes happen all the time: new competitors emerge, customers come and go, the funding landscape alters, the economy fluctuates, or the demand for your services changes. While you need to take notice and adapt continuously, not all of these are reasons to change your direction or strategy. So how do you know when a change in the operating environment is cause for re-examination? When the assumptions upon which you based your plan have changed, it’s time to take a new look. You are experiencing a major unplanned increase or decrease in your sales, hiring environment, membership, funding, etc. Many small changes eventually add up. For example, losing a few customers a year may not be a big problem, but when 20% of your clients leave over a short time period, it’s time to pay attention. Similarly, if you experience small growth annually you don’t necessarily need to reconsider your strategy; but if you suddenly have double-digit, unplanned, growth or a loss for several years running, you need to pay attention. The new reality of what’s happening in your external and internal environment – and why and how you adjust – means it’s time to reassess your goals and strategies. Members of your leadership team or board have very different ideas about the direction for the future. Lack of alignment is an important sign that it’s time to reexamine your strategic plan. Are people operating off the same information? Is there shared understanding about the key environmental factors affecting your organization? It’s critical that organizational leaders reach agreement on the purpose and focus of the organization. You are ready for your next big leap, but aren’t sure what it should be, or how to achieve it. This is a sure sign it’s time for a new strategic plan. The planning process enables you to consider what the world needs now from your organization, what choices exist, which ones are most attractive to you, and how you will achieve them. If the timeframe covered by your current plan is ending it’s time for a new plan. Even if you have not accomplished everything you planned, it’s time to take stock of what you have accomplished, how your current environment is different and what you now want or need to achieve in the future. You’ve accomplished all the key goals you set from your last strategic plan. Congratulations! It’s definitely time for a new plan. You may coast for a short time, but don’t wait too long before you engage in a new planning process. In fact, it’s best to begin a planning process before the timeframe for the current plan ends. The process used to create your strategic plan should build understanding and ownership. This means that all members of your organization need to actively engage in gathering and understanding the data, consider what it means, identify key strategic choices, and develop the plan that will achieve your goals. An outsider can guide and facilitate the process, and be engaged to gather some data, but ultimately the plan should be developed and written by the people in your organization. That’s how you get the alignment and ownership critical to implement the plan. Is it time for your organization renew its strategic plan?